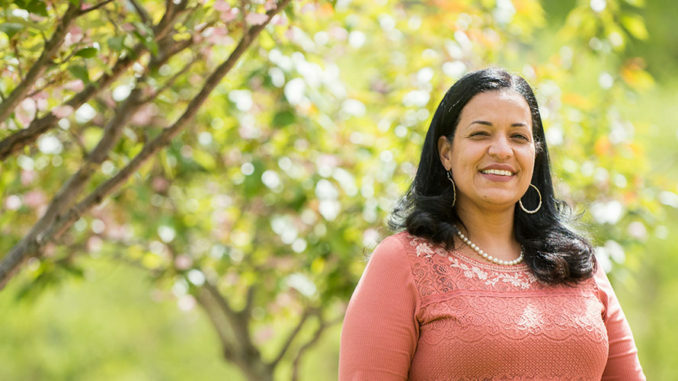 Nyack College Dean of Students Wanda Velez has been named by the Council for Christian Colleges & Universities (CCCU) as a 2019 Resource Leader for the Multi-Ethnic Leadership Development Institute (M-E LDI). The one-year program was established as a professional development opportunity for people of color, who are emerging leaders from campuses nationwide. A cohort of some two dozen individuals is accepted in the M-ELDI program. Dean Velez will create a professional development plan for M-E LDI participants, who will also have the opportunity to shadow her on the Nyack campus. Dean Velez is an alumna of the M-EDLI program. Since her participation, she has been sought after as a panelist for events such as CCCU’s 2017 forum, “Sponsorship Within Christian Higher Education: A Strategy for Advancing Emerging Leaders of Color? ;” and ” 2017 The Hope Gathering,” at the Redeemer Presbyterian Church W83 Ministry Center, organized by women involved in a variety of churches and organizations throughout New York City. Dean Velez is currently a student in the ATS Doctor of Ministry program with a concentration in Global Christian Leadership.